Cinco de Mayo is such a fun holiday that many families look forward to every year. Any excuse to eat endless amounts of chips and guac, salsa, and tacos–and craft cute things–is a good excuse to us! 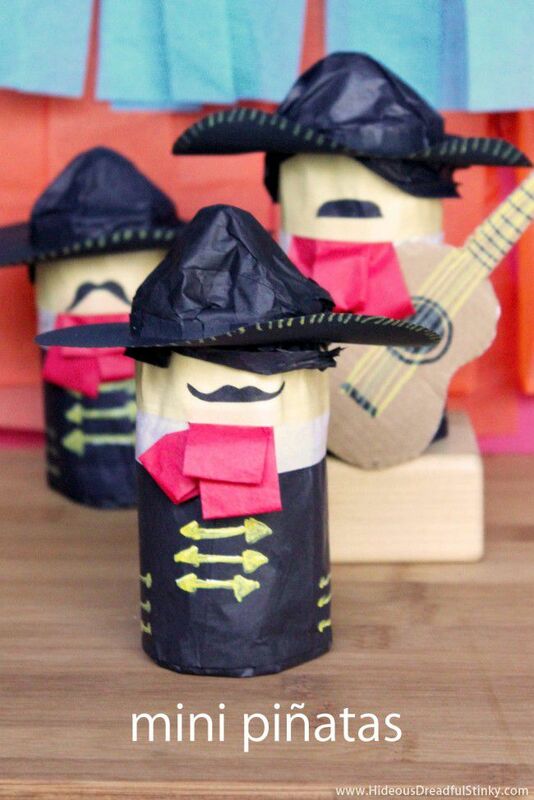 Need a few fun Cinco de Mayo craft ideas for your kids to try? We've got 5 of them that are perfect. All of these projects require simple supplies and take almost no time at all to complete. Bust out the glue sticks, turn up the Mariachi Band music, and start creating. Happy Cinco de Mayo everyone! These simple tissue paper flowers are perfect for many holidays! Craft them with your kids and display them for Cinco de Mayo. They would be so cute for a party. Your littles will love creating these colorful piñata suncatchers for Cinco de Mayo. Hang them in your windows and watch the sun show off their colors. Kids can make their own ponchos for Cinco de Mayo celebrations with a plain old paper bag. Use paint to design it however you'd like! Don't these turn out super cute? How fun is this little Mariachi Band piñata craft? It's adorable! Plus it's made from toilet paper rolls! Mini Piñata Tutorial from Hideous! Dreadful! Stinky! Turn a paper plate and a plastic cup into a colorful sombrero. Add ribbon, yarn, and pom poms to complete the project. These are simple and super cute DIY hats for Cinco de Mayo.